I love watching my children (by birth or marriage) interact with their nieces. Aunties play a special role - not parents, but still related closely enough to have a great impact on a child's life. When I see scenes similar to those above, I think of how I missed out on being a proper auntie to my own nieces and nephews, and how my children missed out, too - because of living overseas for so many years. I, myself, hit the auntie jackpot. My mother is the eldest of 10 children. She's standing next to her mother in the photo above. These photos, with all the sisters, and one brother (the last child), standing in birth order, were taken many times over the years, well into adulthood. I think they still take photos like this when they are all together, although two of the sisters have passed away. My sister and I were the eldest grandchildren and doted on by our aunties. My uncle, the baby above, is just 5 years older than I am, so many of the aunties were children when I was young. We loved spending time with them. They played with us, told us stories, took us for walks, confided in us about their boyfriends, babysat us, and were, at times, very likely annoyed with the two of us. Several of my aunties lived with us for short periods. When we made our infrequent visits home from Ecuador, my aunties (and uncles) were always welcoming and took an interest in my children. Delicious home-cooked dinners, comfortable beds, excursions out, the loan of vehicles - my aunties and their husbands gave much of themselves to us. Each one has chosen a different life path, but all of them are smart, creative, and loving women. I've been told that several of my aunties read this blog. So Auntie, if you are reading this, I want to let you know how awesome you are. You've all contributed much to my life and I love all of you. I love being your niece. This post makes me smile. I have some wonderful aunties myself and I get to see a wonderful auntie in action quite often (my daughter). I can remember so well the sweet specifics of my auntie memories and I can see that you do, too. What a great family your mother hails from and I think it'll make those aunties smile, too. I love being an aunt and a great aunt! And I was thinking today I have only two aunts left out of 8. What more do I want to ask while they are still here on earth? A wealth of family history slipping away ... Do you read Tanna's Brick Street Bungelow blog (see my sidebar) she had a nice post on her aunt today! What a lovely photo, Lorrie. It must bring back memories. I had one auntie, who was a treasure. I could tell her things that I couldn't tell anyone else. Sadly she dies too young. All those loving aunties now have a loving niece. What a wonderful blessing aunties are! You are rich in aunties!! So sweet! I, too lived far from my aunties grwoing up, but I alwasy knew they were special and I love the way my own daughters and daughter in law now are aunties to my grands. What a lovely tribute to aunties. Love that old photo. What a large and wonderful family of aunties and one uncle you have. That is amazing. I bet the baby boy was spoiled by all the big sisters. We had two special aunts, both single, who doted on us and we were very blessed to have them in our lives while growing up. What a wonderful family and memories you share. I'm a Aunty and I love it...it's one of the best jobs in the family. The aunty-niece relationship is a precious one - especially with one's maternal aunts, I believe. 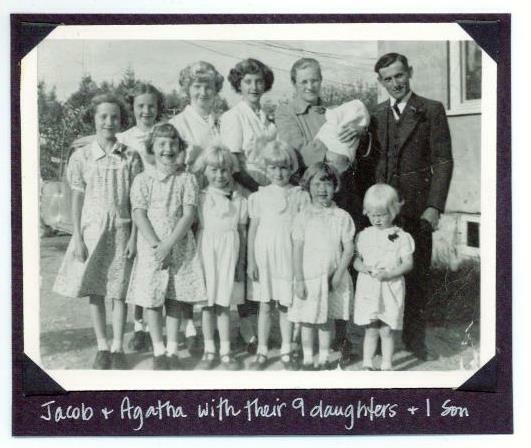 The photo of your mother and her siblings and parents is beautiful - and you certainly look like your mum! There is so much to be said for living close to your family and as a result, nieces and nephews. We have tried to visit my family over the years but have had limited sparse contact. On the other hand for the past 19 years we have lived close to my husband's family and enjoyed watching the nieces and nephews grow up. You were lucky to have had such close contact with your dear aunties! Loved this post, Lorrie. Aunties are special people. You really did hit the "auntie" jackpot!!!! Yes, aunties can never be praised enough. I love that photo...of your mom with her many sisters and one brother. You certainly did hit the jackpot in the 'auntie department'! I have enjoyed my aunts...and enjoyed being an aunt...and can see how much their aunties mean to my grands. 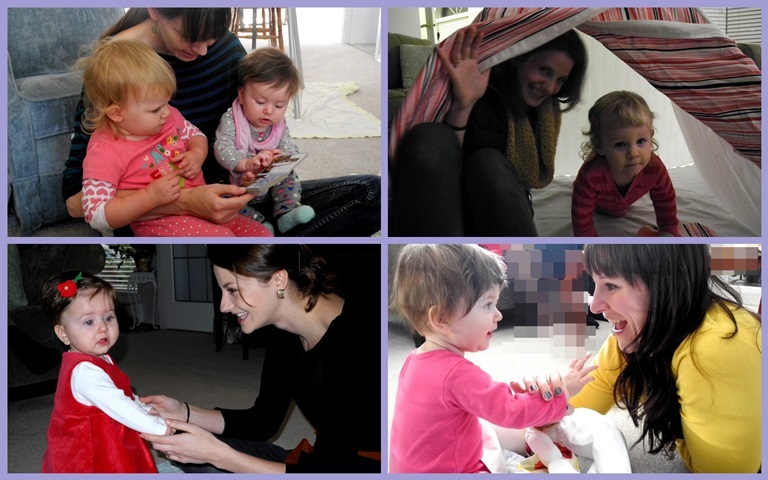 Good post...in praise of aunties. I love this picture and the story. I've thought about the relationship of my other children with our granddaughter and how much they love her and are already to so important in her life. I wasn't close to any of my aunts but did enjoy a few at family gatherings. You do so look like your Mother Lorrie. Must have been a hard time for her brother in some ways but I guess so many sisters looked after him.